In other news, Burlington County Library’s Third Annual Fandom Fest is set for July 29. For the 29th year in a row, Tabernacle’s Church of the Holy Eucharist will put on its annual Pine Barrens Festival from July 24–29. The event will take place at the church, located at 520 Medford Lakes Road in Tabernacle. “It is something that the church really enjoys very much in the sense that it brings the community together — not only the Holy Eucharist community together but it brings the larger community together to experience a great night of fun and food and entertainment for the children for the rides,” said Church of the Holy Eucharist pastor Father Andrew Jamieson. Seneca High School football coach Bill Fisher is excited about the upcoming season. 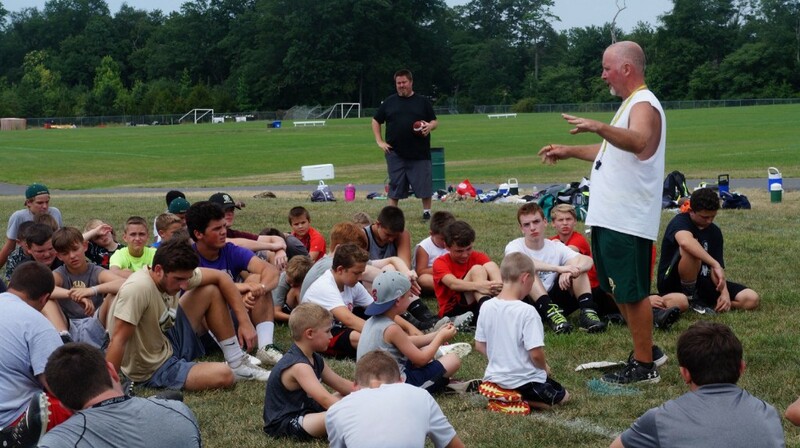 He talked at length about the preparation for the fall season last week, as the program held its 14th annual Golden Eagles Football Camp, where children from 5 to 18 years old come together to learn all parts of football, from the fundamentals to safety to teamwork. However, there are a few missing pieces on the team that need to be filled because of graduating seniors. Three-year starting quarterback JJ Scarpello, offensive/defensive tackle Garrett Blesi and running back/linebacker Jurelle Watson are the three key seniors who graduated in June. The Burlington County Library system (BCLS) will celebrate comics, anime, television, movies, video games, and more during the Third Annual Fandom Fest, a mini-comic con for teens and adults set for Saturday, July 29. Presented by BCLS and the Friends of the Burlington County Library, Fandom Fest will run from 11 a.m. until 4 p.m. at the library in Westampton. Admission is free.